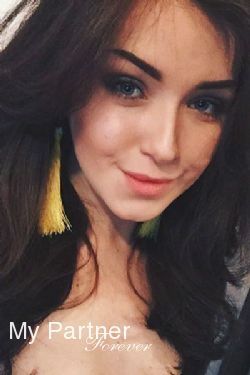 Our well established online dating site offers any serious man a true opportunity to get in touch with single women from Belarus, Latvia, Moldova, Russia and the Ukraine. With the help of our reliable marriage agencies, we help our clients to find the woman they’ve been seeking for. Each year, thousands of men from all over the world marry their charming Russian bride. 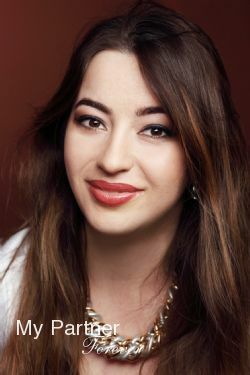 Russian women are generally quite fit and attractive, not to say stunningly beautiful, they are also generally well-educated, good workers, fun to be with and mostly, they are family oriented – overall, they have the reputation to be excellent wives. If you are looking for such a woman and you are attracted to Russian women, why not introduce yourself to a few of them and see where it will take you? Who knows, it may be the first step at finding yourself a loving and charming wife. Our authentic marriage agency service will help you to meet single, and often quite beautiful Russian and Ukrainian girls who are seeking love and romance. We are here to help our clients and our partner agencies women clients – not here to help scammers! 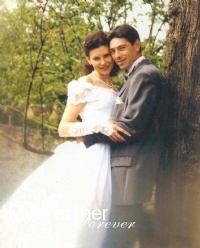 Our partner marriage agencies’ owners offer quality matchmaker services to their single Russian and Ukrainian girls who are seeking a suitable husband from outside their country. Russian girls offer the qualities that many men from Western countries seem to have difficulty to find in their local women: they are family oriented and keep their body in excellent shape. Russian girls and Ukrainian girls still have the traditional family values that are so important at keeping a family together. Although they are well educated and career minded as any modern woman, they keep their husband and family at the center of priorities. If you still believe in these family values, why not get in contact one of these beautiful Russian girls and it could be a step toward finding your future Russian bride. 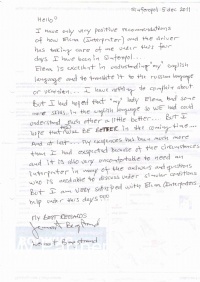 … Don’t you wish you could share your life with a Russian woman? My name is Arina. I’m 47 years old. 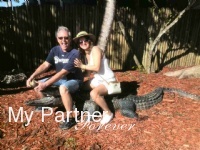 Our names are Alain and Yuliya and we’re the “faces” behind MyPartnerForever.com. 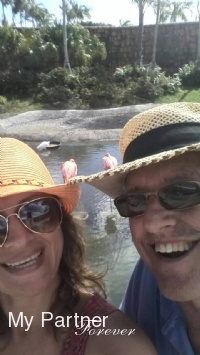 Just a few years ago, we were living on different continents, searching without success for our soul mates, afraid we would end up living our lives alone. By tradition, every Russian girl and Ukrainian woman makes it a life priority to find a reliable and faithful man and become his wonderful wife and beautiful bride. Russian girls are well educated and can be career minded as any modern woman but they will not let their personal ambitions stand in front of the family. 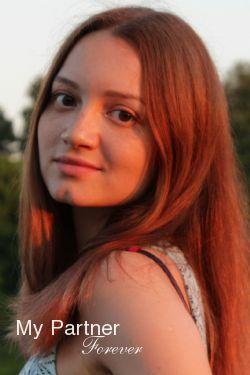 Our dating site and international matchmaking service introduces you to beautiful Russian and Ukrainian girls who are seeking a good hearted man to share love and romance. Living in a country where there is 10 million more women than men, Russian and Ukrainian women obviously suffer from a shortage of single men, thus they often cannot find the man who will make their dream come true: become beautiful brides and share long term relationships. In a similar way as you are doing, they are broadening their horizons to different parts of the world in the search of a life partner by joining an international dating and matchmaking site. Here is your opportunity to find a beautiful Russian wife! Our authentic and dependable online dating site and quality matchmaking service are designed to help serious men to develop long term relationships with single Russian or Ukrainian women. Working in cooperation with honest and reliable marriage agencies, backed by experienced matchmakers, we can help serious and sincere men from any country to develop long lasting relationships with single Russian or Ukrainian women. 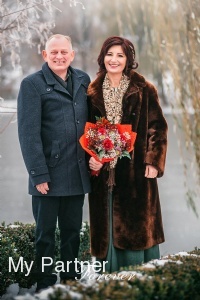 If you are serious about finding a life partner who holds the traditional values deep in her hearth, no doubt that you can find such a bride in Russia, Ukraine or other CIS countries. Any serious man who wishes to find his future Russian wife can succeed. With the help of our marriage agency network, thousands of men from all over the world find their beautiful Russian wives each year. Don’t wait any longer; one of these beautiful Russian girls may very well be your future life partner!